March 02, 2018, 2:56 p.m. This week brought the unfortunate news that retailer Toys R Us had been placed into administration, putting around 3,000 jobs at risk. But how did it get to this point? YouGov BrandIndex points towards the struggles that Toys R Us has had over the past few years, specifically in the UK. Of course, once a brand is in trouble, and the public learns about it, it is very hard to turn around. Certainly, in the UK at least, people recognised the struggles the brand was experiencing. 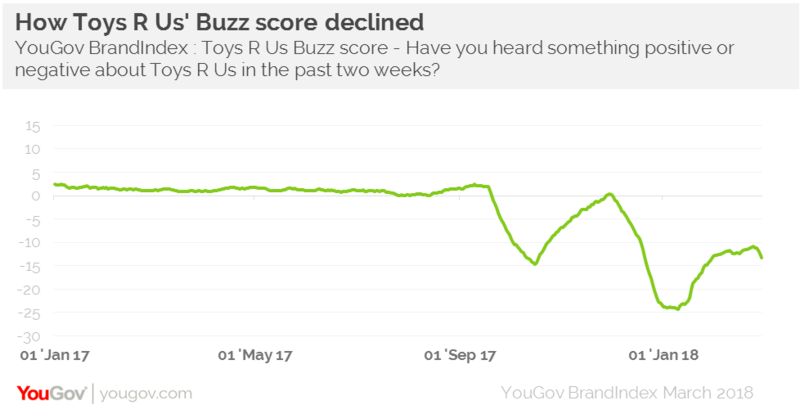 Toys R Us’ Buzz score had lingered around the +2 mark prior to September 2017, when headlines first emerged of its financial difficulties. Since that time, its score has plummeted to a low point of -25. The knock-on effect on this is that the pubic simply thought less of it. Its Impression score, which again had stood around the +16 mark, dropped as low as -1 following its struggles. Most damaging of all of course, is that fewer people felt that they would shop with Toys R Us. Its Purchase Consideration (would you consider buying something from a brand) score among the general public had declined to +9 prior to the news it has entered administration, where once it had averaged a more respectable +15. 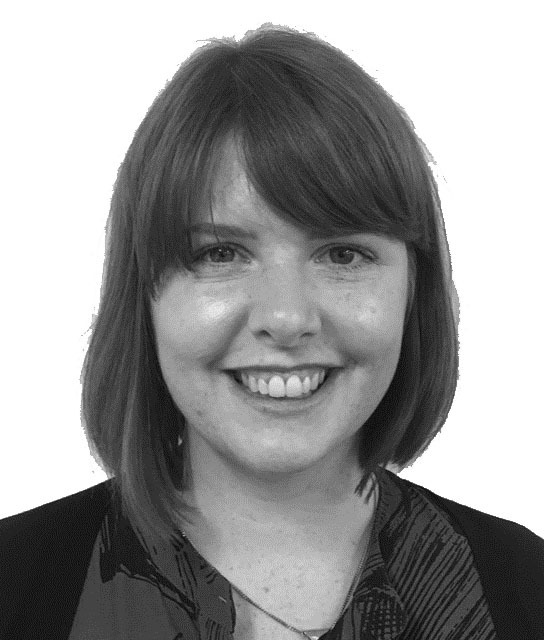 It would have been hoping that the Christmas trading period would have injected some life back into the business, but our data indicates that it struggled to attract customers in the same way it once had, with only a small rallying in Impression score and Buzz during that time, indicating the negative momentum was irreversible. Put simply, Toys R Us has struggled to adapt to the changing habits of the consumer – especially those that no longer want to travel to out-of-town shopping venues and warehouses. However, it is too simplistic to blame online rivals, the brand had lost its lustre of its heyday. Other retailers will be looking on with anxiety, as yet another historic brand fails. With many high-street businesses struggling to compete, this is yet another bad omen for the future of bricks and mortar retail.